US Radiology Specialists | Introducing US Radiology Specialists, the nation’s premier alliance of physician-owned radiology practices. US Radiology leads the way. We're building the nation's premier partnership of physician-owned radiology practices and diagnostic imaging centers. Here, we come together to share best practices, optimize growth, support our hospital partners, and most importantly, elevate patient care—together. It's the next generation of radiology. We're driving change, rather than waiting for change to drive us. We provide our partners with the resources they need to thrive in a constant state of change. Each physician group maintains clinical control of their practice, backed by strong financial and operational support from some of healthcare's brightest business minds. And we're a leading provider of diagnostic imaging services, working with our health-system partners to provide best-in-class imaging when and where patients need it. US Radiology physicians and diagnostic centers are leaders in the field of imaging, sharing our passion for continued elevation of patient care and outcomes. Our partners maintain clinical autonomy, continuing to make clinical decisions and govern their respective practices and centers at the local level. From our state-of-the-art stack and investment in artificial intelligence (AI), to our top-of-the-line imaging equipment, our technology is an investment with one goal in mind: optimizing patient care. Help us build the premier national radiology partnership. We value our partners' input and experience, as well as our relationships with our hospital partners. Enjoy the security and opportunity that comes with additional capital, operational support and a vision to grow your presence in the radiology community. 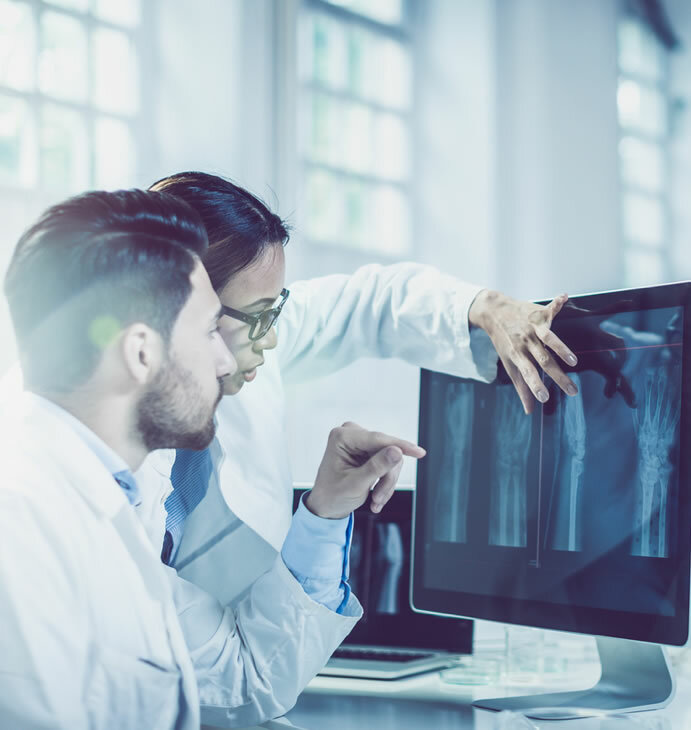 Some of the nation's most recognized radiologists and imaging experts have created a place for like-minded clinicians to find support, financial backing, and clinical and technical resources. Because the world of healthcare is changing, and we believe there's strength in choosing the right strategic partners. As US Radiology grows, new physician and imaging partners will have ownership in this entity, helping to build this partnership and shape its future, while continuing to govern their respective practices and centers and improve the lives of patients in their communities. We are healthcare providers, first and foremost. Clinical and imaging excellence is our governing value, and patient care is our primary concern. We are on the cutting-edge of innovation, from imaging technology to interventional breakthroughs, ensuring optimal treatment plans for every patient. And we are driving change instead of waiting for it.